All CAM courses include Legal, Ethical, and Professional Practice issues as an essential component of curriculum. 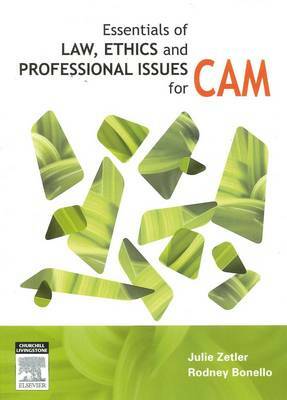 Statutory bodies, professional associations, educational institutions and accreditation authorities require that such content be incorporated into CAM courses. Accreditation of such courses is (in part) predicated on including such content. There is currently no local text which deals comprehensively with these subjects for CAM students or practitioners. This is a text designed to meet the needs of CAM students at Diploma, Bachelor and coursework Masters levels. The authors are both academic and practitioners, and have written according to CAM curriculum requirements, adopting an interdisciplinary approach, with contributing authors for individual modalities. The authors have produced a template for the contributors and integrative practice considerations are included.